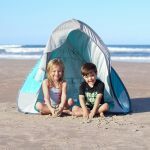 The time has come for you and your family to embark on a cross country get-away. If you thought that packing up and jetting off somewhere with your spouse was stressful, the idea of doing that and adding small children into the equation can really bring your blood pressure up. We're here today to tell you about an airline that is dedicated to bringing you exactly what you want in your flight, and the budget rates won't leave you dipping into your children's college fund to finance. Frontier Airlines is an amazing airline to trust when traveling with your family, and their commitment to bringing you affordable rates doesn't automatically equate to trading in certain "luxuries" that you may have grown accustomed to in the past. 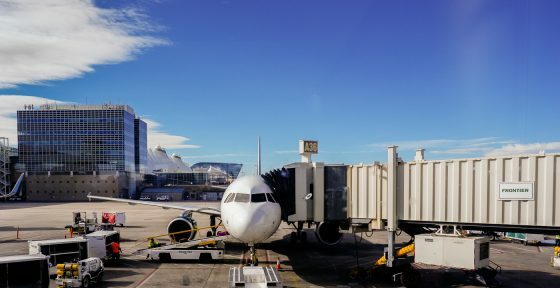 Frontier Airlines is what’s called an “Ultra Low Cost Carrier.” Ultra low cost carriers are known for offering lower fares, as well as fewer "frills." 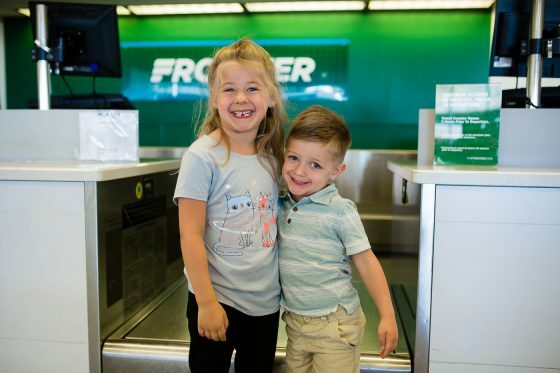 Having a choice in what's important to you and your family is what separates Frontier Airlines from other ultra low cost carriers. With a standard airline, you make one payment and it includes multiple things, such as maybe a certain number of checked bags, or a certain choice in seat. Those fees are rolled into the fare cost, and occur whether you want and use them or not. Frontier Airlines knows that flying as a family is expensive. 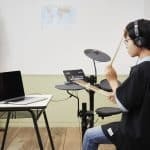 They have taken a stand against standard rates and fees, and have decided to offer a lower fare, with options to purchase and upgrade what your specific family needs or wants. Here's an example: many airlines offer "free" checked bags for every ticketed passenger. For a family of four, that's a total of 8 checked bags! 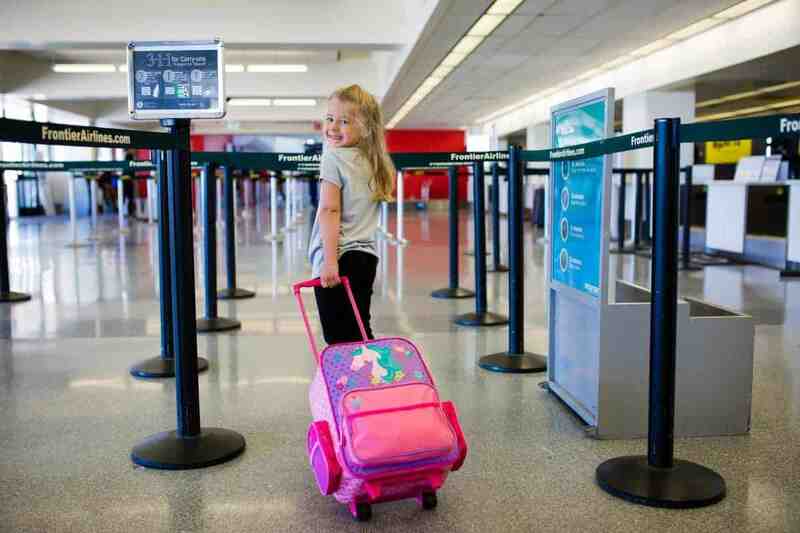 Does your 3 year old really need two suitcases checked on an airplane for a trip, or is this a feature that often goes unused for families? 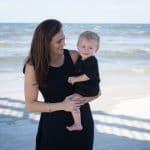 Speaking from our travel experience, checking bags is a complete hassle, so in order to cut down, we typically combine children's clothing in with the parent's checked luggage belongings. That additional fee may be "free," but you aren't utilizing it, and if you didn't select it booking with Frontier, it would actually save you money. 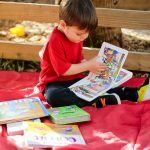 Daily Mom Travel Tip: Did you know that all children's car seats can be checked for free with Frontier Airlines? 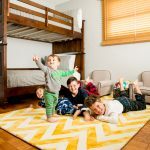 Traveling as a family of four, we were able to combine clothing and only pay to check two bags on our recent cross-country trip from Detroit, Michigan, to Los Angeles, California. Since the car seats were easily checked at the beginning (for free! ), we only had to carry a small bag that fit under the seats in front of us on the airplane for each person. Navigating through the airport was easy! 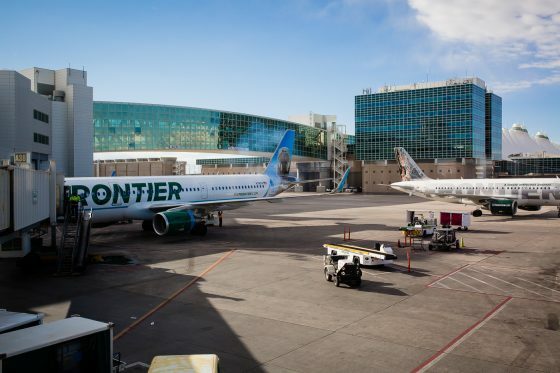 Frontier Airlines wants to be your number one choice in family-friendly airlines. Their strong commitment to families really shines because of their fun, new "kid-zone" area seating. 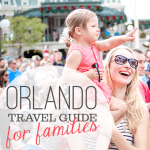 Sitting in the kid-zone is designed to work seamlessly with traveling as families. The Kid Zone is located in the rear of the aircraft. Since it is designed with a family budget in mind, the aisle and window seats are available to purchase at a discounted rate, and the middle seats are available for no additional fee. No more fighting for seats together, since they are all pre-booked and selected. Sitting together as a family has never been easier, or cheaper. The zone was established so that families can have easy access to the restrooms, and also the changing tables that are available in the rear of the aircraft as well. They are also located close to the friendly flight attendants, so they can assist you in whatever way possible. 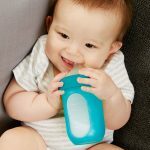 Typically, the aircraft is boarded from front to back, however, if you are traveling with children, Frontier Airlines has a special early board option available to you, so your family can take your time to get seated and situated, without the rush. Bundling options are also a great way to book your travel with Frontier Airlines. 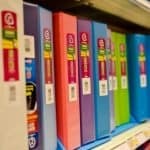 They know that moms don't ever get sick days, but if you purchase the WORKS bundle, you can change or cancel your flight stress-free if you happen to have a sudden sick child at home. The fares are available for up to 6 people on your itinerary, as long as you are one of the passengers. Savings are unlimited for one full year! It's only $49.99 per year. Be the first to hear about new offers, promotions, and hot new destinations. As a member, you'll earn EarlyReturns® miles for every purchase. To make it even easier, your EarlyReturns® and Discount Den℠memberships are the same. Frontier Airlines also has a frequent flyer program called the EARLYRETURNS Mileage Program. 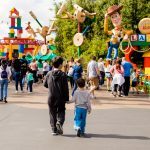 It doesn't cost anything to join, and if you're purchasing tickets for your whole family, you'll be surprised just how quickly those miles add up. Maybe one day down the road, you'll have enough for an adult-only weekend jet-away. 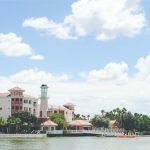 You also have the option to sign up for the Frontier Airlines Mastercard to earn a slew of miles all the time, just by purchasing your everyday items. 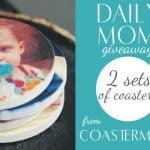 Daily Mom has teamed up with Frontier Airlines to offer an AMAZING contest. 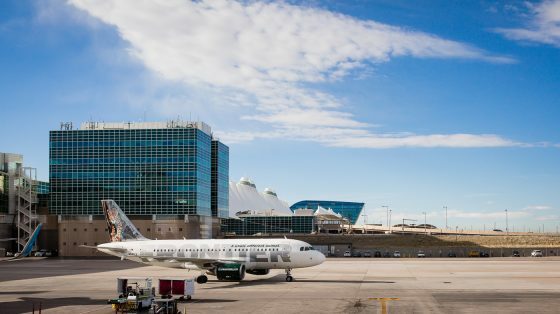 Head on over to the Frontier Airlines giveaway landing page and enter your information for a chance to win a $1,000 travel voucher. Entering is easy, and you may be on your way to a fun family vacation of your own, very soon. Best of luck! 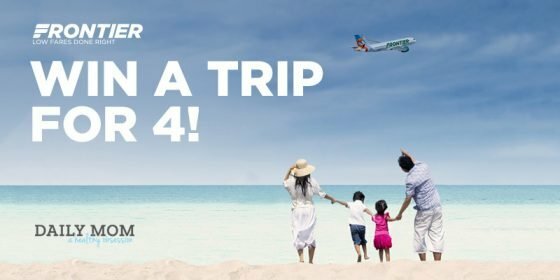 Contest Targeting: Open to everyone in the U.S.
My family of four recently flew on Frontier Airlines from Detroit, Michigan, to Los Angeles, California. Booking the flights on their website was very easy, and the four of us were able to fly cross country for an affordable price, and with ease. We booked our seats in the kid-zone, and it was an awesome experience. We were able to board in the first boarding group, and take our time getting situated in our seats. The staff was absolutely lovely; the kids got to greet the captain, the flight attendants came around and gave both of my small kids a collectible playing card, telling them some facts about the animal featured, and what airplane they are on the tail of. By the end of our journey, each kid had four cards each, and they were trading them back and forth, and took them home as a souvenir in their suitcases. Since I had spent the time to pack a healthy snack variety in their bags, we saved money even more by not having to purchase in-flight snacks and drinks. 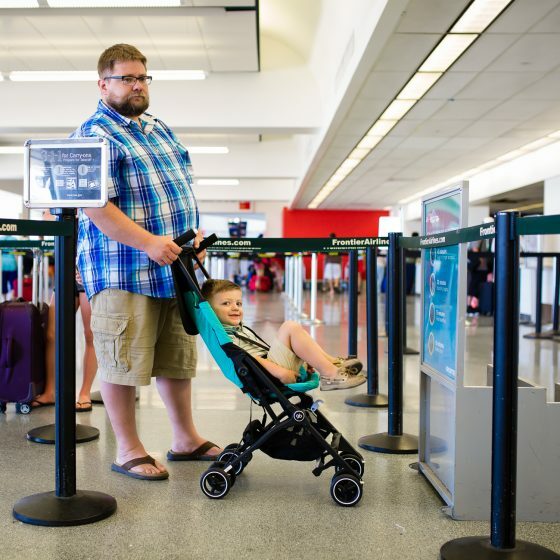 I packed my daughter's clothing in my checked suitcase, and my son's clothing with my husband's checked suitcase, so we only paid for two checked bags each direction, since the carseats and strollers were checked for free. In fact, our stroller, the gb Pockit, actually fit completely underneath the airplane seat, and we didn't have to place it in the overhead storage, or gate-check it at all. We traveled as a family of four over 3,000 miles without worry, and we didn't have to take out a small loan to finance it. 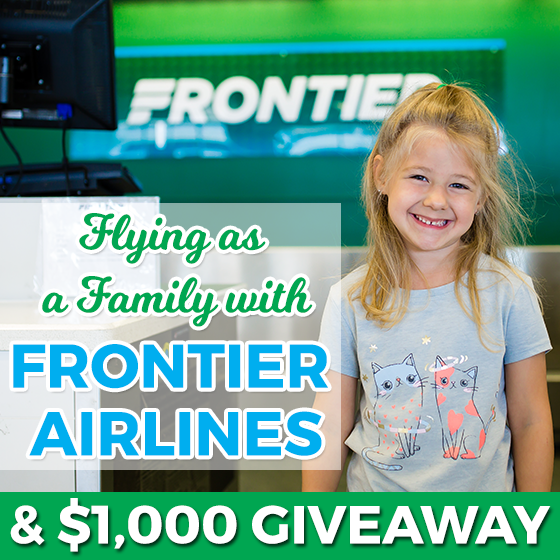 We can't wait to fly as a family on Frontier Airlines in the future. Make sure to follow our Daily Mom Instagram account @dailymomig for sneak peeks into our travel excursions.